Israel’s refusal to freeze settlements is the single most significant obstacle to peace with the Palestinians and the Arab world. That single policy decision to expand settlements and confiscate more Palestinian land in the occupied West Bank, especially around Arab East Jerusalem, has done more to undermine peace than even the violence of Hamas in the beginning of this century. In 1993, there was so much hope that finally, Israelis and Palestinians, Jews and Arabs could live together in peace and build a safe and secure Middle East that would have become an economic engine for the Middle East, Asia and Europe. Instead, less than two years after the agreement was signed, an Israeli extremist from the settler movement and the rejectionist Jewish right murdered Yitzhak Rabin, who dared to extend a hand of peace to Palestinian leader Yasser Arafat. Rabin’s assassination put the entire process in a tailspin that continues till this day. It prompted two very tragic developments in the Arab and Jewish communities. It sparked a new Israeli arrogance of obstinate rejectionism and double-talk that emboldened the rising violence from Arab extremists. More troubling, and further proof that Israel really does not want peace, is the fact that the number of settlers has doubled during the two decades since the peace accords were signed at the White House between Rabin and Arafat under the auspices of President Bill Clinton. The turmoil of those two decades pulled the rug out from under the peace movement on both the Palestinian and the Israeli side. Israel’s “peace” movement collapsed, replaced by “peace apologists” of Israelis and American Jewish activists who spend more time defending Israel than helping Israel to correct its errant ways. Probably the most damaging event that took place in that two decades of disaster since the Rabin-Arafat peace failure was the transformation of the American Jewish peace movement into an organization of Israeli apologists. Some people including myself applauded the rise of J Street as an alternative to the rightwing, anti-peace Israeli lobby, AIPAC. Yet in the five years since J Street’s creation, all that J Street has accomplished is bringing together the shattered remains of the American Jewish peace movement not as an effective champion of peace but as an organization that has given Israel’s right-wing policies shelter. The proof of J Street’s ineffectiveness is the fact that Israel is as much against peace today as it was in 1995 when the peace process collapsed. Israel’s government rejects the two-state solution. It continues to confiscate land and expand settlements. In the two decades since the Rabin-Arafat handshake of “peace,” the number of settlers has doubled. That’s not progress. J Street has given supporters of peace a false hope. The rhetoric sounds good. The conventions are fun. But the results are lacking. They are afraid to appear too critical of Israel, so while they loudly lobby for “peace,” they mute their criticism of Israel’s actions at the very time that strong criticism of Israel’s government is most needed. While peace is stymied by Israel’s refusal to return land for peace – the fundamental premise of the “two-state solution” — the real obstacle confronting Palestinians is the rising extremism among the Palestinians themselves. Palestinians can’t control their anger at having failed to achieve anything in the course of 65 years of conflict. What have Palestinians achieved? Not one inch of Palestine has been liberated. The Israeli occupation of the Gaza Strip was replaced by a religious occupation. The one talent Arab and Israeli extremists share is the ability to take frustration and transform it into negative and self-destructive energy. The Palestinians know how to say “No” and how to reject, but they have no concept, no aptitude and no skills to achieve positive results that would move them closer to independence. The Israelis know how to say “Yes” in an empty meaningless gesture that prolongs the conflict in a status quo between war and real peace. Palestinians have always been their own worst enemies, thanks in a large part to Israel’s rejection of peace, which Palestinians use to excuse their own violent behavior or to blame their failings on Israel rather than on themselves. The issue is “principle.” Palestinians cannot condemn Israelis for killing Palestinians if they can’t also condemn Palestinians for killing Israelis. But that also applies to Israelis and American Jews. American Jews have failed to embrace the fundamental principles of justice. Principles only mean something if you can stick by them when they are inconvenient. Expanding settlements that are exclusively Jewish on confiscated Palestinian civilian land is unprincipled. Refusing to freeze settlement expansion as a requirement to resume peace talks is also unprincipled. J Street is picking and choosing among principles. J Street does not like to hear criticism, which is apparently an Israeli cultural trait. J Street has not done enough to prevent Israeli extremism or to push Israelis to a principled position of moderation. It’s not enough for J-Street to be the “alternative” to AIPAC. To achieve peace, J Street must return to genuine principles and bring Israelis with them. 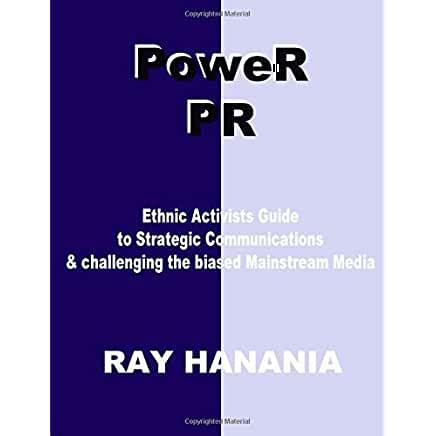 — Ray Hanania is an award winning columnist. He can be reached at www.TheMediaOasis.com or follow him on Twitter @RayHanania. THIS POST HAS BEEN READ 3517 TIMES SO FAR. THANK YOU!